Planning to start a family soon? Congratulations! Expanding your family is such an exciting time in your life, and it usually comes with a plethora of decisions to make – from picking out names to registering for baby gear — and for many families, deciding where they want to bring baby home. They go hand-in-hand — the decision to buy a house is often closely tied to the decision to have kids. There’s just something about bringing your newborn home to a place that’s your own, a place where you can design your baby’s nursery and a place you can create memories for years to come. But babies are expensive, right? Or so we’re told, anyway! You may be wondering how you could possibly afford to buy a home while starting a family – but we’re here to give you some tips to make both goals a reality at the same time. So you know you want to buy a house, but you may be wondering how feasible it will be when it comes to your financial situation. The affordability question will come down to several big factors, such as the size and location of the home as well as how much cash you intend to put down at closing. Here are a few ways you can start saving right away. You may be wondering why shelling out more money will help you save. Well, if you’re carrying a balance on revolving debts like credit cards, you’re also paying a monthly interest fee that’s a percentage of your balance – which can really add up each month. Your lender will also need to calculate your debt-to-income (DTI) ratio to determine if you qualify to take out a home loan. He or she will do this by taking into consideration all of your monthly debts and income sources. As you can imagine, the lower your debts are, the lower your DTI will be – and most lenders want this ratio to be 43% or less. With the extra money you’ll pocket each month by paying down debt, consider putting it directly in your savings account. Building up a healthy nest egg means you’ll have money set aside for a down payment, home repair costs, baby necessities and other important things. 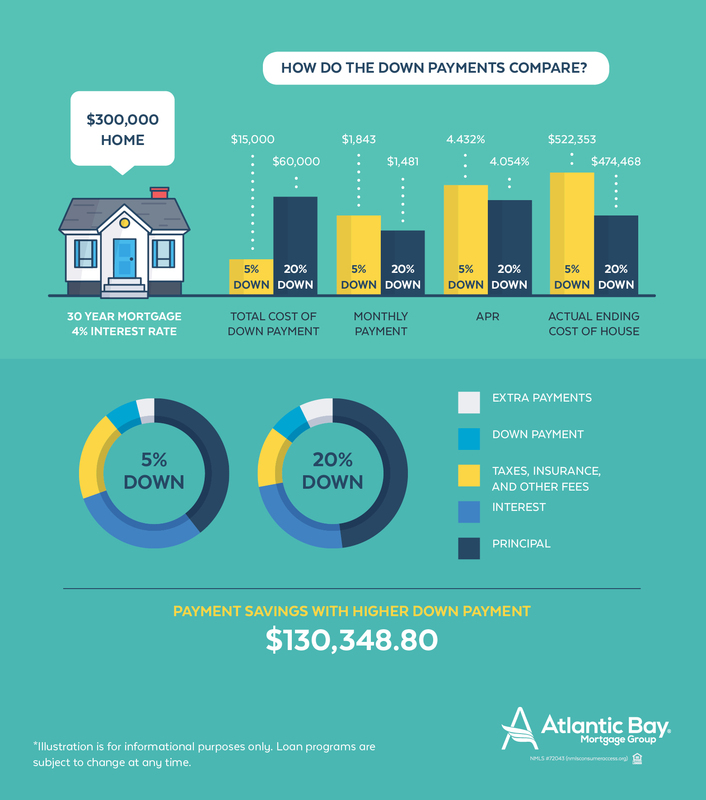 When it comes to your down payment, you can put as little as 3.5% down with an FHA loan, but be prepared to have mortgage insurance tacked onto your monthly payment. Conventional loans can offer as little as 5% down payment (if you qualify), but it also would require mortgage insurance. However, if you’re able to save enough for a 20% down payment on a home, you can avoid the extra expense of mortgage insurance — which can add up to big savings each month. Side note: If you’re in the military, you may be able to consider a VA loan which has 0% down payment requirement and no mortgage insurance, which could allow you to save for other home-related expenses. One of the best things you can do is work with a lender to get pre-approved before you even begin the home search. Becoming pre-approved shows a seller that you’re motivated and serious about purchasing their home when you put down an offer in a competitive market. The biggest benefit of doing this is to get a realistic view of how much home you can safely afford, since your lender will take your entire financial situation into consideration. Similar to having a baby, buying a home is a big deal. It’s one of the biggest investments you’ll make in your life, so it’s important to consider all factors and make a smart purchase decision. 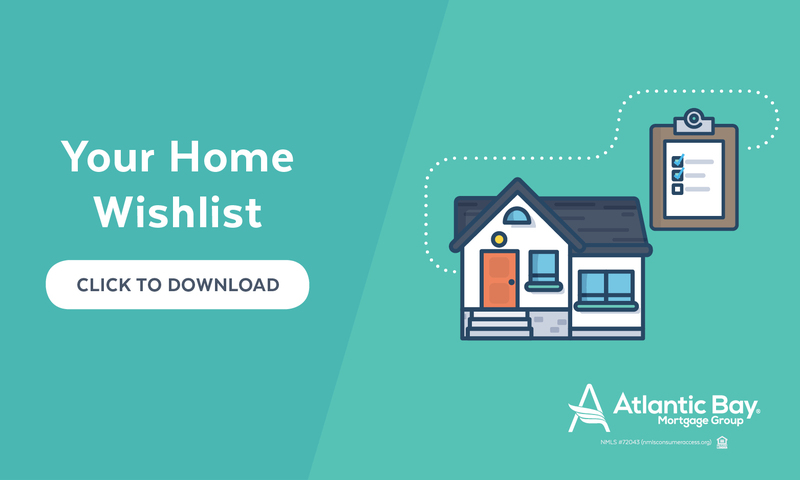 You can easily download our free home wishlist below, to plan your family-focussed home ahead of time. If you’re buying a home with kids in mind, you’ve probably already thought about this – but make sure you have enough space for your growing family. Generally speaking, you’ll want to plan on staying in the home for five years at minimum to ensure you can break even or profit when you sell. With that in mind, think carefully about the next five years – how many kids do you think you’ll have in that time frame? That’ll help you determine how many bedrooms and bathrooms you’ll need in a new home. If you don’t have kids yet, this may not have crossed your mind – but it’s kind of a big deal. If you’re interested in a two-story home, you might want to carefully consider where the bedrooms are located. Some parents prefer to have their baby’s nursery close, which means needing two rooms close to one another. Also, open layouts between the living area and kitchen can be a lifesaver when you’re trying to cook dinner and keep an eye on kids. Determining your preferred layout ahead of time can help narrow your home search and find the right home for your family. Another big desire that many families have when it comes to the ideal home is a nice backyard. When we bought our first home, we were childless and did not think very far into the future – and our home had a microscopic backyard that led to a deep ravine. Not exactly kid-friendly! As soon as our daughter was old enough to walk, we really regretted that we hadn’t thought more carefully about our home choice (especially since we knew we wanted kids). However, it made finding our second home easier, since we knew from the start we wanted a backyard for our kids to play in. In the end, one of the biggest pieces of advice is that you shouldn’t rush into it. It’s easy to feel pressured to find the perfect home, especially if you already have a little one on the way – but it’s so important to take the time to save money and find a home that works for your family and will serve you well into the future. If you have questions about the home buying process, talk to your mortgage banker or check out the Atlantic Bay blog.